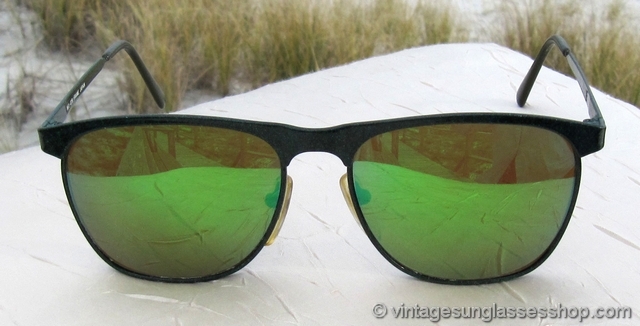 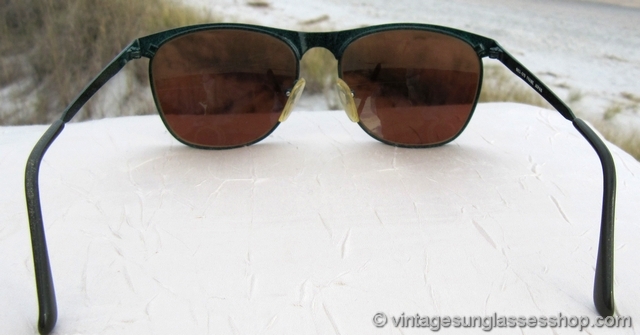 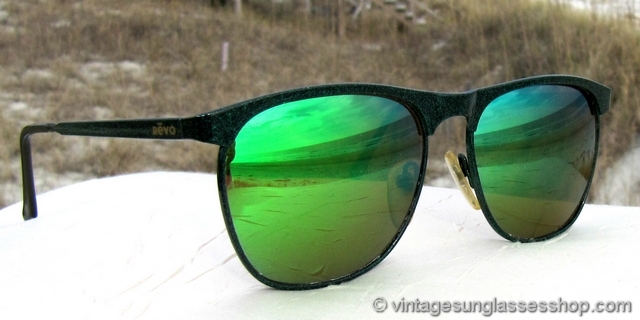 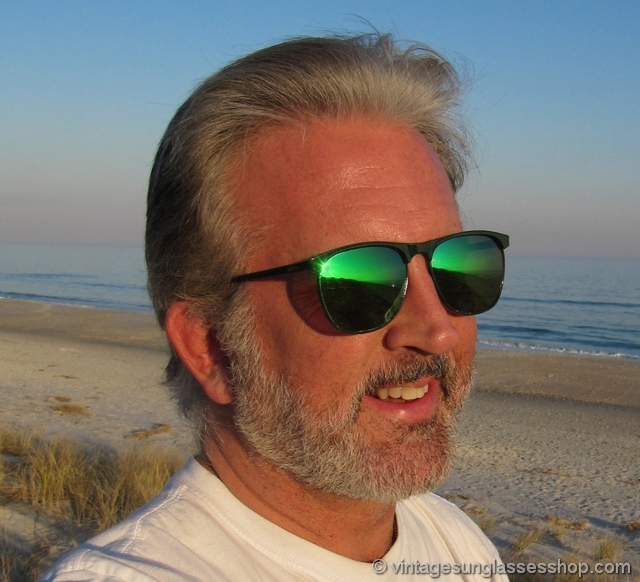 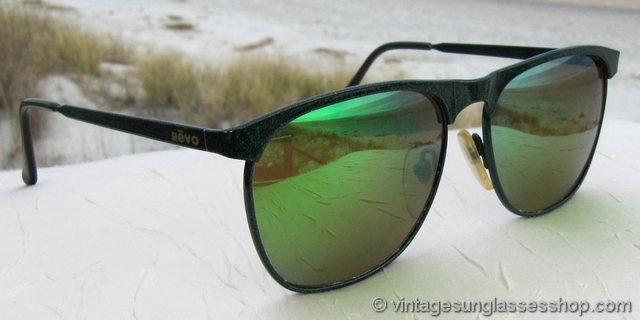 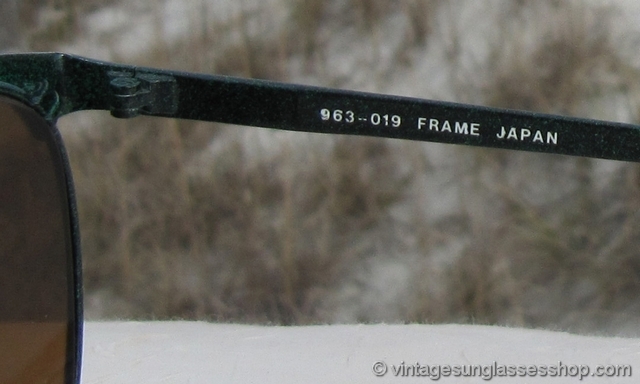 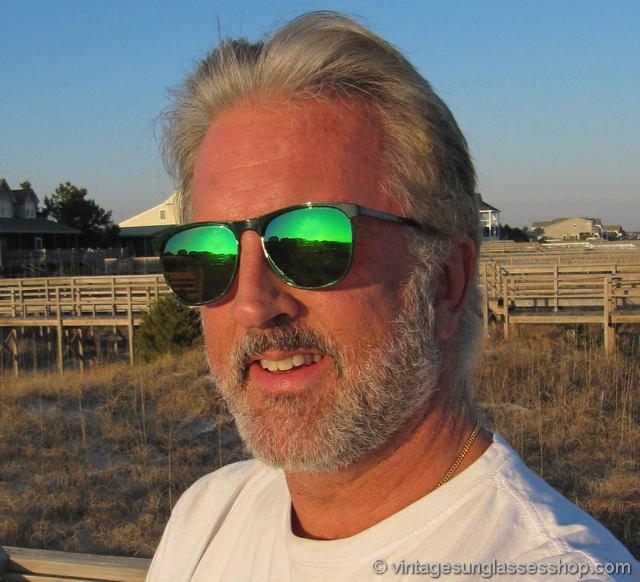 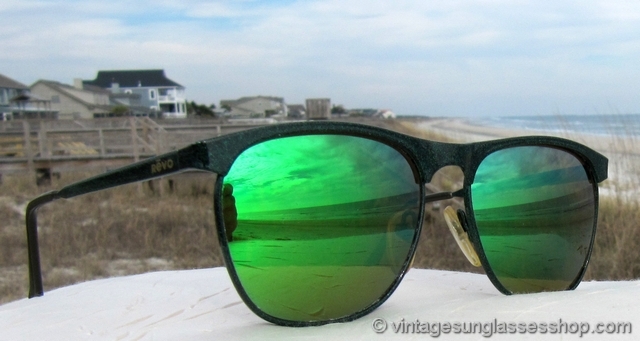 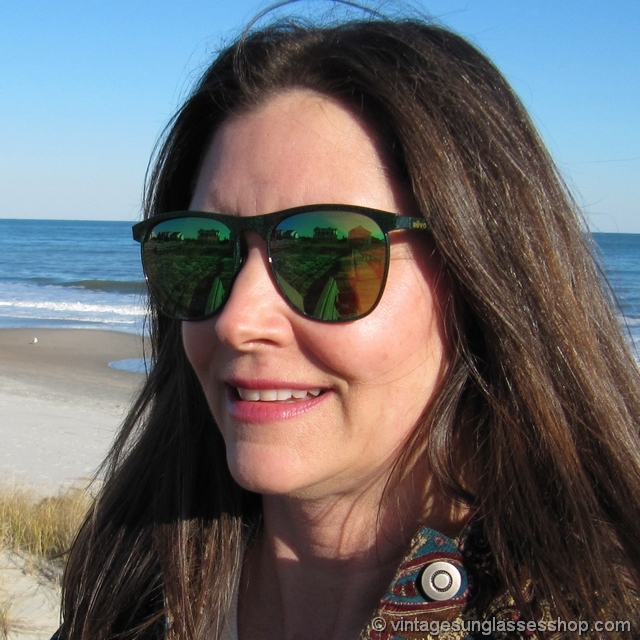 Vintage Revo 963 019 sunglasses have one of the most unique color combinations Revo ever produced, pairing a mottled green metal frame with Revo's highly reflective green mirrored lenses. 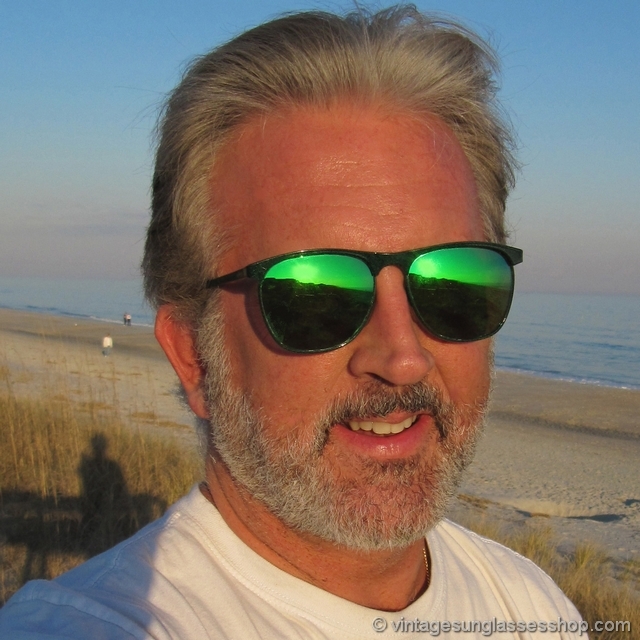 The combination is a style that is guaranteed to be noticed, and the rare mottled green frame and Revo green mirrored lenses look great together and doesn't look like anything else on the market. 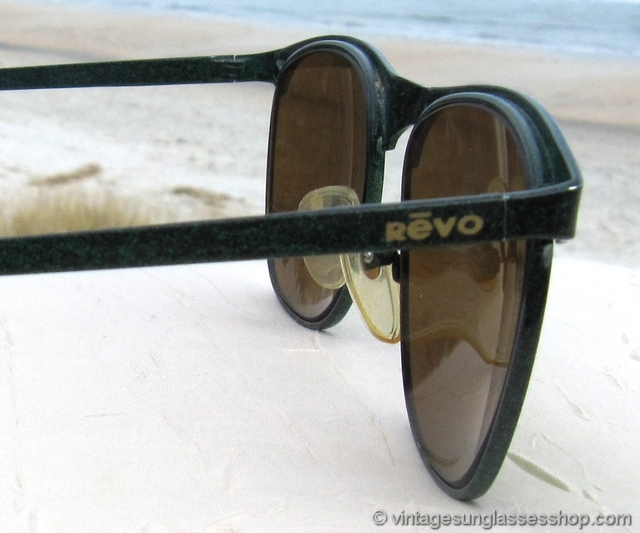 The Revo logo is embossed in gold on each ear stem near the hinges, and the inside of one ear stem is marked 963-019 Frame Japan, previously owned by a well known sports figure and long time customer of the Vintage Sunglasses Shop.